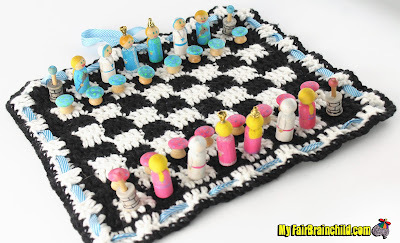 A handcrafted chess set fit for a princess with a chess board that converts into a bag for portability and storage. 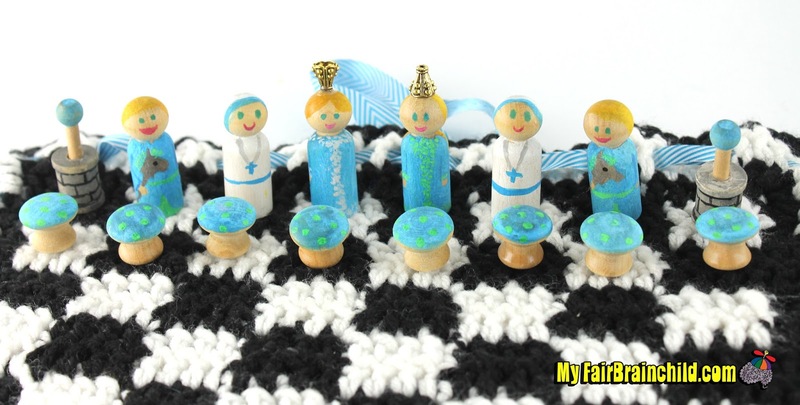 Knights are represented by princesses with hobby horses and nuns take the role of bishop in this set with mushroom pawns. 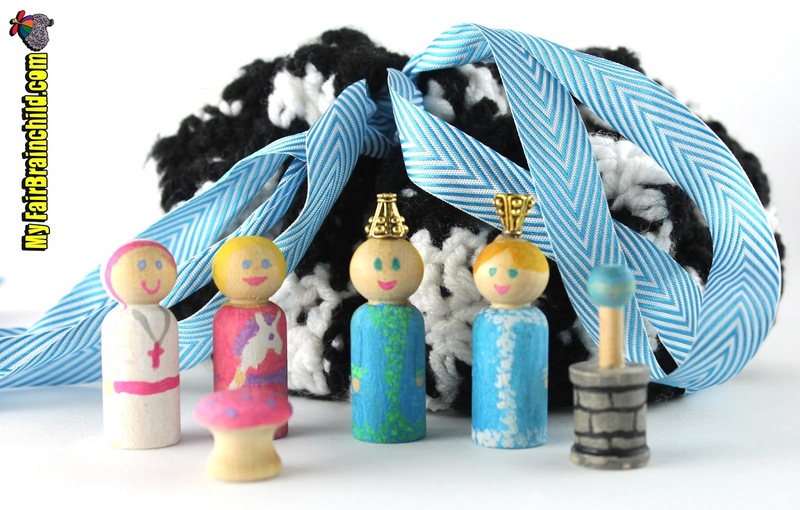 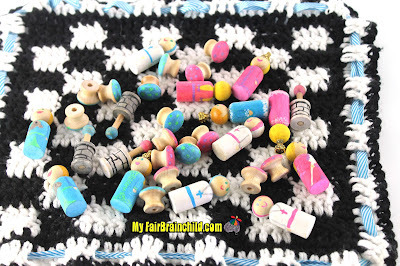 This set has been a big favorite with children and adults at events. Many young girls especially take the time to stop and play. My Fair Brainchild loves to encourage everyone to engage in a battle of wits every once in a while.